Pushy. Irritating. That’s just a start. 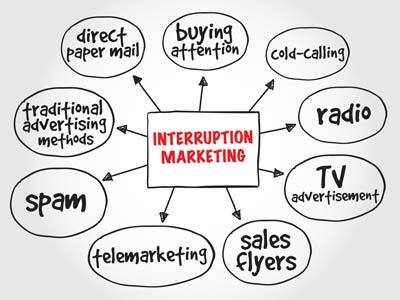 Interruption marketing’s affinity with bad in-laws is seen everywhere. Yes, even in places you don’t find mentioned in the typical definition you’ll find on Wikipedia and elsewhere. Most say it’s a traditional marketing model for promoting products and dependent upon someone stopping what they’re doing to pay attention. Limiting the definition of electronic interruption to email spam is a bit like saying only mothers make bad in-laws. Email can morph into a bad in-law scenario, even when you have a list of people who want to hear from you. Here’s an example. I receive a daily email from a very successful blogger and leader in platform building and life coaching. I signed up to his email list when I purchased one of his books. I look forward to his messages. Yet this morning, he pulled an in-law trick on me. The moment I clicked to the blog he had invited me to read, I was faced with a pop-up. My instant reaction? “What do I do? I’m already on his email list, so why am I getting an invite to sign-up for his email list in order to download this ‘free’ ebooklet? Is the offer meant for me?” No X in sight. 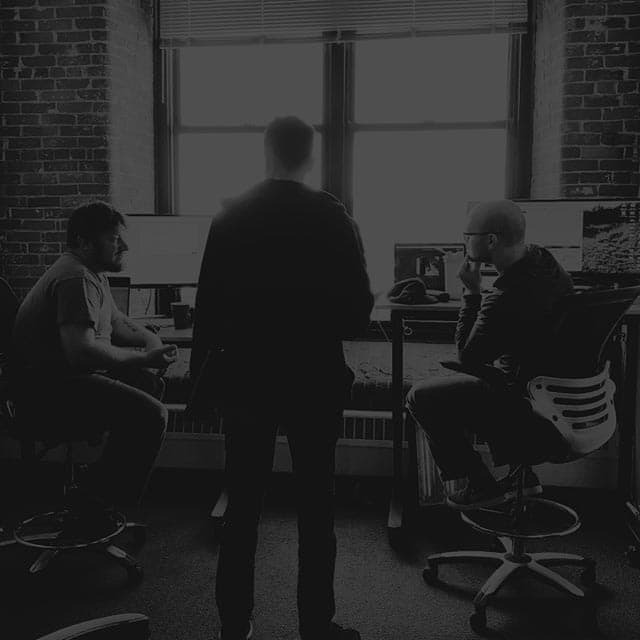 I wasn’t sure if the blog was important enough to read after all. It’s just like the wastrel in-law who is trying to get money from you when they’re caught in yet another scrape. I asked myself, “What happens if I share my email again? Will I get a different set of emails in my inbox? Will I be faced with 2 or 3 emails a day because I’ll join the sales funnels for another product?” It was intrusive. No one likes rude or meddling in-laws. Likewise, few of the people you want to reach appreciate rudeness or intrusion. Your limits might be different from mine, yet we all have a point at which pop-ups reflect bad manners and pushiness. Being convinced that what you are offering is exponentially valuable doesn’t make your interruption polite. There’s also the self-inviting in-law nightmare. They’re like those emails that flood your inbox constantly telling you what you ‘need’ and how you need to do it. They become even more exasperating when your efforts to ‘unsubscribe’ result in more, rather than fewer emails. You quickly recognize that unsubscribe works best if the ‘in-laws’ are using email managers such as aWeber or MailChimp or InfusionSoft to manage their email lists. Finally, selling your email list (or sending emails out to a list you’ve purchased) is the ultimate in repelling in-law behavior. The bride and groom don’t want guests they don’t know. How would you like it if your in-laws stole a stack of wedding invitations, and invited people you don’t know to the wedding and reception, especially when you’re paying the bill? As we’ve already seen the Website Pop-up in-laws sometimes collaborate with the Email in-laws. They also work alone. Sure pop-ups are highly visible and could increase conversion and feedback. However, they’re a lot like loud in-laws who take over everything. For most people, the loudness screams, “We want to be the center of attention here.” It flips the interest switch to the off position for many people. It’s especially disgusting to at least 70% of your website visitors when your pop-up is irrelevant! It’s the primary reason people block a website. It’s like the in-laws crashing a small family gathering you didn’t invite them to attend. They aren’t wanted. If the pop-up is going to ‘intrude,’ at least be polite enough to make it small. You also want to ensure it’s relevant and easy to close. Then your behavior is more like the kind of in-laws you want to have—supportive, helpful and willing to step away. We’ve reached the point where we expect them. Ads in front of videos. It’s much like expecting your in-laws to be your enemies. You’re resigned to it. Yet must this be the case? According to Johnathan Salem Baskin, effective interruption still trumps pointless engagement. His premise is that when ads are honest, relevant, immediate and meaningful, they are welcomed. An ad that complements a video isn’t as frustrating as one that blocks progress to what someone really wanted to see. When your pre-video ads are irrelevant, it displays a lack of emotional intelligence. It’s like having uneducated rednecks for in-laws, who also have no awareness of the needs of those around them. This is especially true, when you demand that someone give away their email when you haven’t let them see whether or not the video shares something relevant to them. At least let them see part of the video before interrupting their viewing with a pop-up. PS- If you're looking to shift gears away from interruption marketing you might want to consider downloading the Getting Started With Content eBook below. It has a ton of information on content marketing which will help your potential customers find you instead of you interrupting them.